An easy way to design sport infographics via Edraw Sport Infographics Design Software. Sports infographics are great for any sport lovers. Following article will guide you how to design sport infographics. 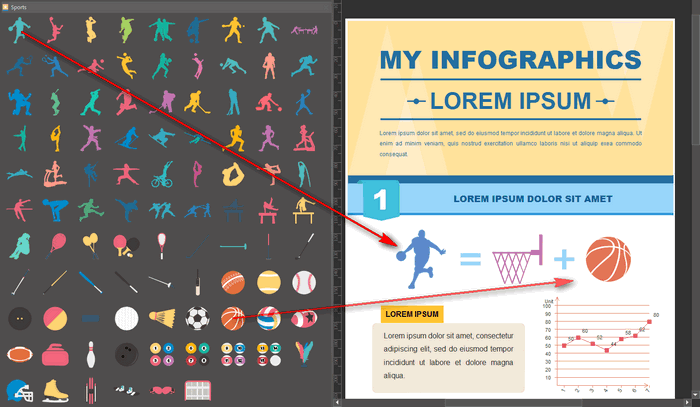 Looking for an easy way to create sport infographics, Edraw Infographic Creator is highly recommended, which allows users to make any infographics including fashion, transportation, music, flowchart, resumes, timeline infographics, etc without graphic design skill. 2. Easy to edit built-in clip arts. 3. Supports automatic alignment and spacing. Easy to arrange the layout. 4. Customize symbols with embedded drawing tools. 5. Can insert local pictures. 6. Easy to choose a page size or set a personalized page size. 7. 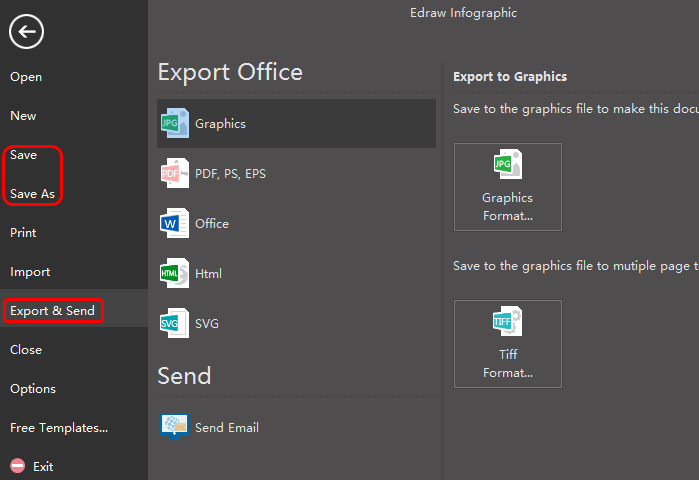 Various export options including PDF, PNG, JPEG, Visio, etc. 8. Various dynamic charts and graphs options. Step 1. Launch this Sport Infographics Design Software, navigate to File menu > New > double click Infographic to open a blank sport infographics drawing page. Step 2. Drag and drop sport shapes from left sport library to the drawing page. Tips: you can also edit the symbols if necessary, such as changing the color, dimensions or rotating it. Step 3. Go to Home page and click Text to add key contents or press ctrl+2 directly, then finishing typing by clicking any blank area or clicking Select under Home page. Step 4. 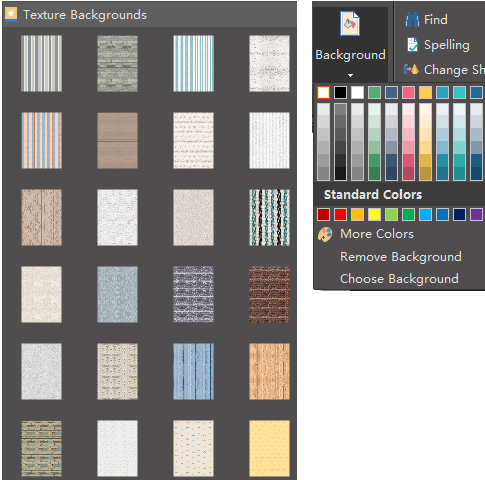 Go to left libraries again and select a texture background or simply click background under Home page to choose a single color background. Step 5. After that, an attractive sport infographic has finished, you can free download, edit, print and share it! Step 6. 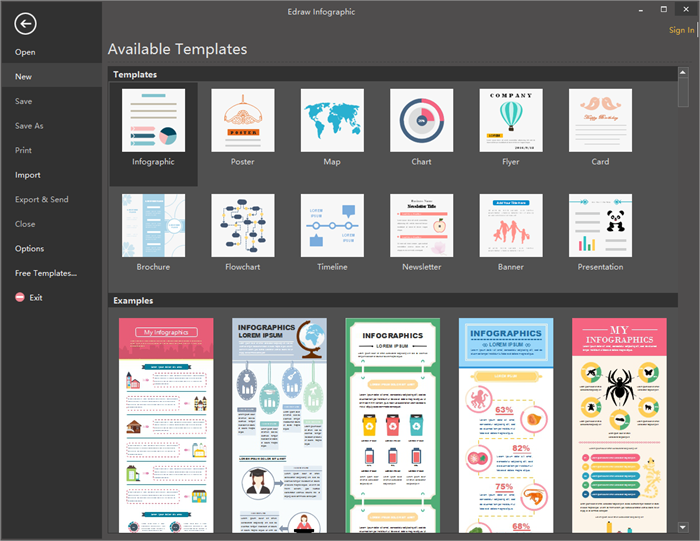 You can click Save on File tab to save the completed sport infographics as the default .eddx format; or choose Export & Send to export the infographcis to any other formats such as Word, Excel, Html, PPT, or Visio.